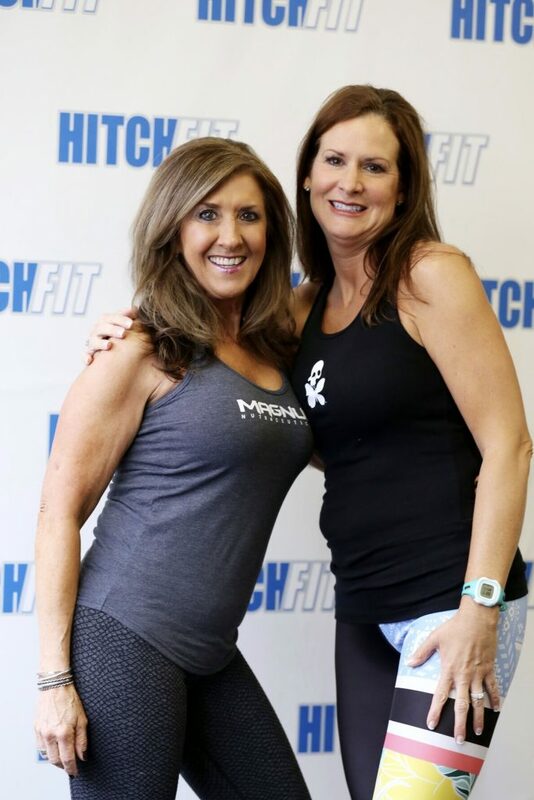 Jennifer came to see me about the same time her husband, Marty “the gun show”, was training with Micah at Hitch Fit! 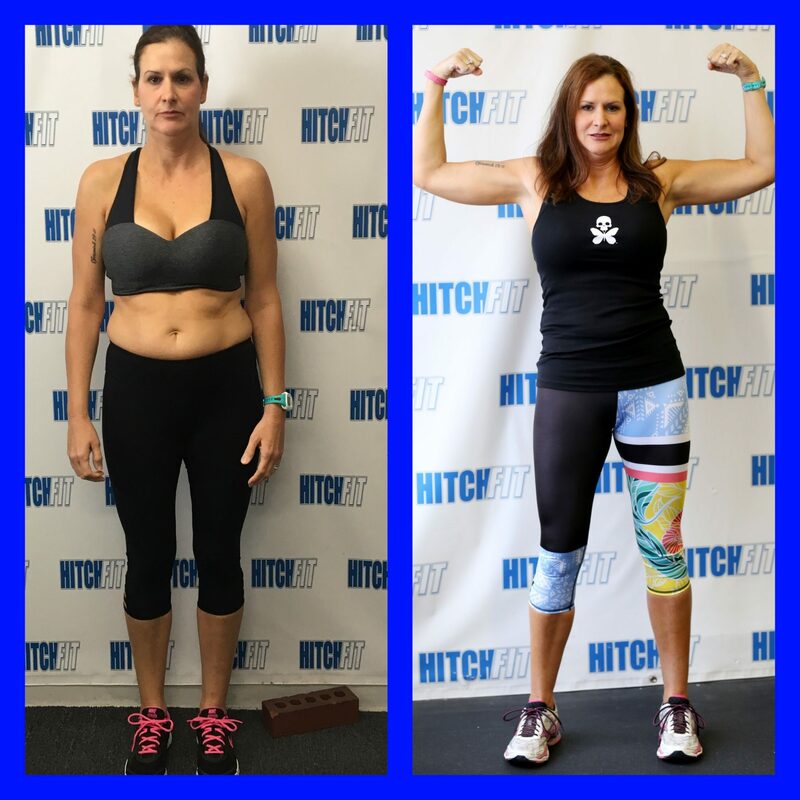 She wanted to lose some stubborn pounds that she couldn’t get rid of, and thought it would be an ideal time to train with me! She and her husband had a trip planned, and she wanted to crush some goals! We had about 12 weeks to get it done! Jennifer and I had alot of the same interests and common bonds. She was so much fun to visit with, and learn from! Jennifer was a yoga instructor, and had completed triathlons, and had taught yoga classes in 5 -Star resorts, internationally. She taught me so much! 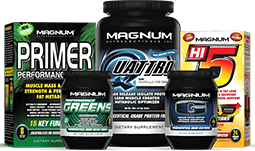 We both had a genuine interest in nutrition, and in learning from each other. Jennifer was on a Gluten Free Nutrition plan, and had a goal of 135 lbs. on the scale, and 22% overall body fat percentage. Well, read on, and get Jennifer’s full story! I had gained about 20 pounds a few years ago, and really struggled to take it off. I was making slow progress, but had stalled out and knew I needed some extra help. I have been a yoga instructor for the past 4 years, and I started doing triathlons a couple years ago. I thought that when I started triathlon training, the pounds would just fall off. I found out I was wrong. I also injured my foot last summer, so I had to stop my cardio training and was really stuck. 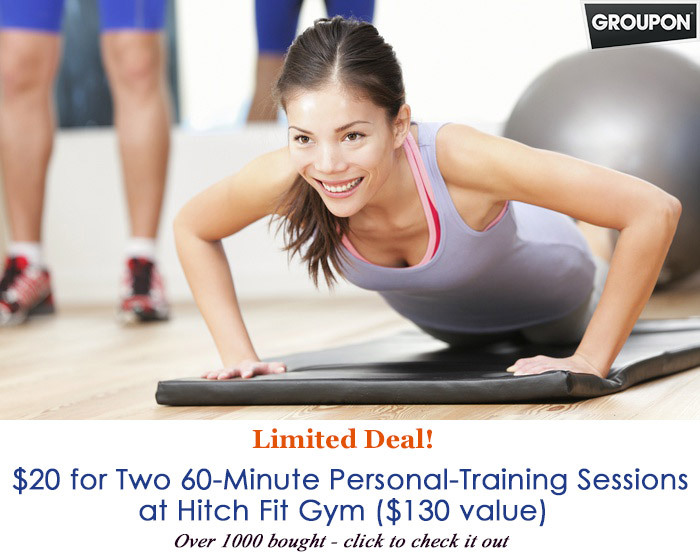 I met with Nancy Choquette and immediately felt at home, and comfortable at the Hitch Fit Gym. 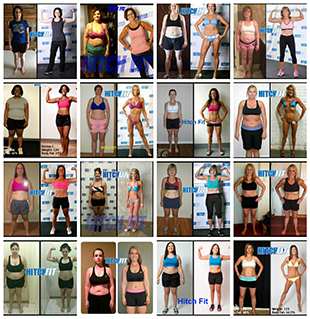 She set up a nutrition and workout plan that I could follow, and I started getting results right away. We started workouts, and I had so much fun that our time would fly by! Sometimes I would forget that I was working out! Since my husband had already started the program, we were eating the same foods, just different portion sizes. I have to tell you, it is so much easier to do this as a couple. You can hold each other accountable and live an active life together. We both continued on our plans, mine beginning about Oct 1, 2016, through the end of the year, and we were able to stick to it through the holidays, and reach our goals before we took a trip to the Dominican Republic.